Promotional star tents. Simple, economic and easy to setup are just some of the key benefits of these promotional tents. With full colour print across the entire tent canvas these are perfect for BIG out there branding. 300D,420D,500D ,600D polyester, oxford, canvas coated PVC or PU, waterproof or fireproof options available. Dynamic Gift International in Australia can provide you a quality double star tent. We are the best producer of different products and it includes the 16 x 21m double star tent. Most of our products have prices that drop dramatically as we pass on the savings to you. As you purchase from this company your order products will be sent directly to your door using the DHL express. You have no worries about the process because you will be provided with a tracking number so you have the chance to trace your items. We have a promotional 16 x 21m double star tent that is simple, easy to set up and economic. These are some of the key benefits for these promotional tents. This tent has full colour print over the entire tent canvas which is perfect for big out branding. This 16 x 21m double star tent has the size of 3x3, 6x6 meter that can be set up for about ten minutes. There are many materials available for this product and it includes 300D, 500D, 420D, 600D polyester, canvas coated PVC or PU, oxford, fireproof and waterproof options. This product has a framework that is made of luxuriously anodized aluminum that provides true strength. However, the 16 x 21m double star tent is not too heavy to transport as well. 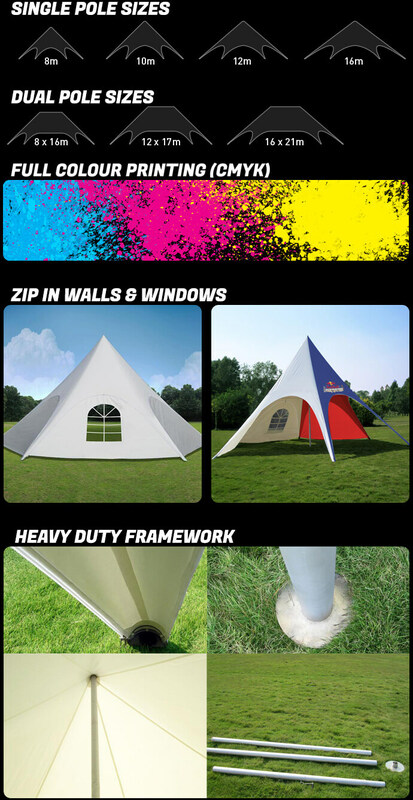 This tent is not just for longer display but it also increases the safety of the people that walk around your tent. In addition, It is also made from UV proof, fire retardant and waterproof materials. You will no longer be in need of any tools to assemble the entire unit that pops up in less than 5 minutes. If you want to make your double star tent personalised with your branding, logo or contact details,we can do it for you. We can print any kind of design you want to include that will differ to other design and we also offer different colours to choose from. Dynamic Gift Australia has the expertise to customise your double star tent and we will guarantee you the best quality branded products with a very affordable price. Choosing to purchase 16 x 21m double star tent at Dynamic Gift Australia will guarantee you flexible service and high standard. We have strict quality measures and will deliver your order in time along with affordable price. Information about our products ia intended as an approximate guide only. Dynamic Gift can not be held liable for any damage caused by the use of our products. For liability purposes we recommend you seek an independent evaluation of the area that the product will be used for and its intended purpose. As Dynamic Gift will not be held liable for any damage or injury caused by our products use.